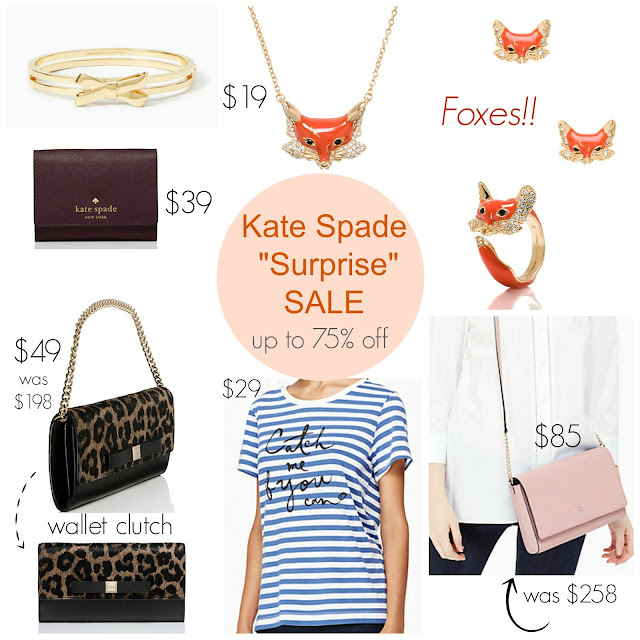 Tracy's Notebook of Style: Kate Spade 'Surprise" SALE - up to 75% off! Wallet Clutch $49 ($198) Maybe because I love the Chanel "Wallet on a Chain" bag, this one is actually affordable and the print is so chic! Small Wallet $39 ($78) This is a must-have if you don't already have one, I use this wallet in all of my smaller bags. Several items in this sale are from the Kate Spade outlet, not the full-line stores. I usually shop accessories or items I am familiar with and have never had issues with quality. However, I probably wouldn't purchase a handbag that sold for more than $100 during the "surprise" sale because I can see the difference in quality and style in the larger bags. Wow some cute stuff at Kate Spade. Thanks for the heads up!